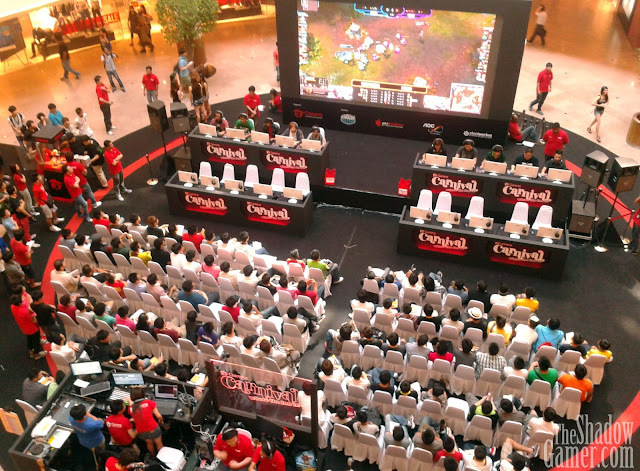 For all gamers in Malaysia, 2013 started with a bang as many came together from the 4th to 6th January at Midvalley Megamall to witness and experience Garena Carnival 2013. Garena has been the official regional publisher of some of the biggest and most popular eSports games, namely League of Legends (LoL), Heroes of Newerth (HoN) and Blackshot. Now in its 3rd year, the Garena Carnival was naturally all about celebrating its best games and gathering our nation's tightest community in one arena as fans of Heroes of Newerth, Blackshot and not to forget League of Legends gathered on the particular days to put their strength and love for these games to test. Adding on to that, gamers had the rare opportunity to participate live on stage to battle with similarly talented opponents as both the HoN National Championship and the Blackshot National League were held on the days. With such a huge tournament alive on stage centrally located in MidValley, you can surely expect a large audience as fans and passer-bys alike spectated and supported their favourite teams. The audiences were also given the chance to put in bets in form of lucky draw tickets and after each game, whoever who played bets on the winning team will then have a chance to get their tickets drawn. If some of you were there, you would know that the first game of the 3-day carnival was League of Legends - one of the most well-known MOBA (multiplayer online battle arena) that exploded into the eSports scene last year, not to mention it is one of the few games which actually require solid teamwork from the whole team throughout the whole game. One of the highlights on Day 1 was the battle between Nothing to Lose and Team Secret. After an intense period of some serious gaming and strategies, it was ultimately Team Secret who achieved the top and had the rare chance to go against our national LoL team, KL Hunters who at the time we're writing this, are also representing us at the GPL 2013. Though Team Secret won all their previous matches, they were still no match for our national representatives KL Hunters, being wiped out in under 25 minutes without doing any major damage. Even so, both teams managed to brought their courage and true sportsmanship together, congratulating each other on a good game. 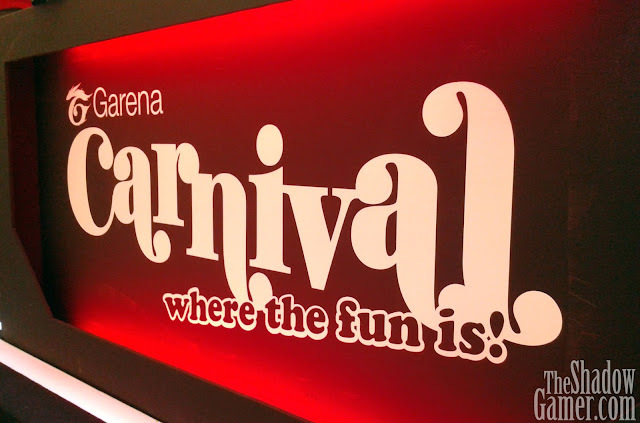 Unfortunately, we couldn't spend the whole of 3 days there but that's our experience at this year's Garena Carnival. And you bet we sure are looking forward to the next! Graduating in Mass Communication, Marcus is a diehard Call of Duty fan. A young journalist, he's passion in both video games and producing videos have developed him into an aspiring Youtuber, not for the fame or partnership, but on a mission to inspire the way he was very inspired. Connect with him at his twitter account.